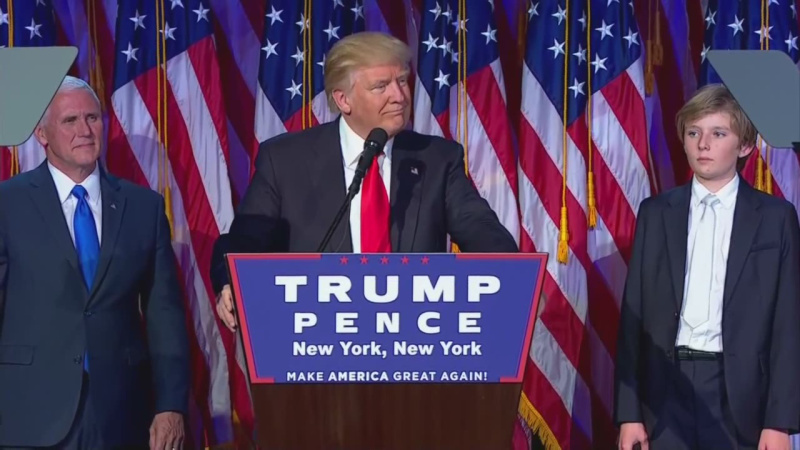 The victory of Donald Trump in the U.S. presidential elections will have long-term global repercussions at many levels. It represents a revolt against extreme postmodernism which has undermined the moral fiber of the West and its willingness to defend itself, facilitating the emergence of brutal Islamic terror throughout the world. 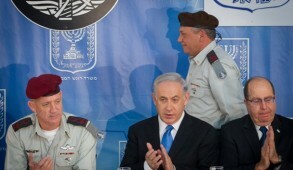 He has repeatedly praised Israel and refers to us as America’s greatest ally; he has endorsed Israel’s position on defensible borders and stated that he has no objection to construction in the major settlement blocs and Jerusalem; he called on the Palestinians to recognize Israel as a Jewish state and is opposed to imposed solutions, insisting that the only way to peace is by direct negotiations between the parties; and most importantly, he has made it clear that he totally repudiates President Obama’s criticism of Israel for failing to make progress in the peace talks and his application of moral equivalence between Israelis and Palestinians. His vice president-elect, Mike Pence, is a passionately devoted Christian friend of Israel and a seasoned politician who Trump has announced will be his major adviser and policy formulator (see video address). 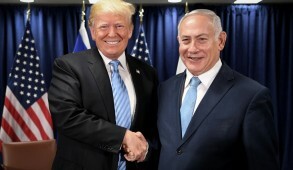 One of the negative repercussions of the Trump victory is the accelerated erosion of bipartisanship and the growing influence of the radical anti-Israel wing of the Democratic Party. Nothing exemplifies this more than the likelihood of the anti-Israel Muslim Congressman Keith Ellison — who was initially funded by the Hamas-linked Council on American-Islamic Relations — assuming the role of chairman of the Democratic National Committee, supported by leading Jewish Senator Chuck Schumer. The post was formerly held by pro-Israel Congresswoman Debbie Wasserman Schultz. Simultaneously, anti-Israel Jewish Senator Bernie Sanders is emerging as one of the most powerful forces in the defeated radicalized Democratic Party. The trailblazer was Anti-Defamation League CEO Jonathan Greenblatt, who shamelessly uses this once-venerable organization as a mantle to promote his radical liberal agenda. 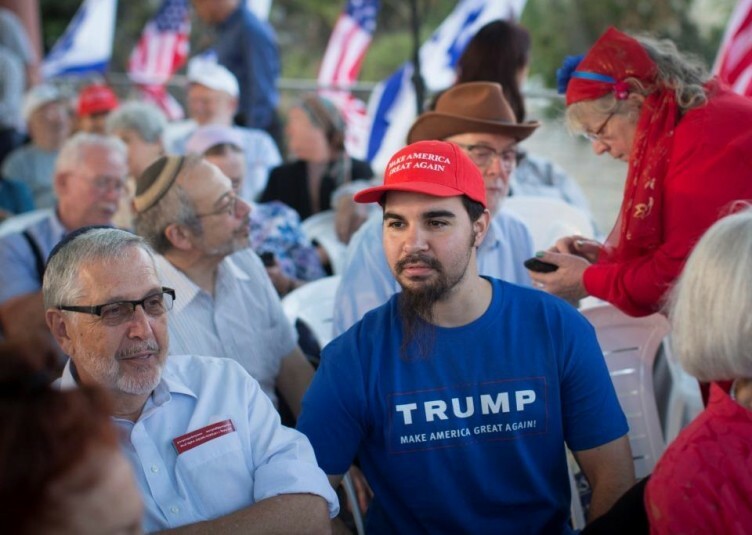 Commissioned to combat anti-Semitism, he had the chutzpah to harness the ADL to condemn the Republicans as “anti-Zionist” because they failed to relate to a two-state solution in their Middle East policy platform. 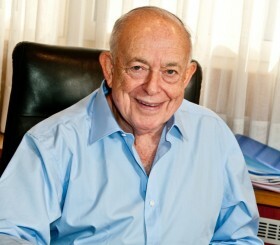 The double standards applied by the ADL is exemplified by the fact that despite the outright anti-Semitism and promotion of BDS against Israel promoted by the Black Lives Matter movement, Greenblatt does not call for Jews to boycott the organization and still refers approvingly to the “positive” aspects of its work, suggesting that only a “small minority” imposed the anti-Semitic aspects of its program. Apparently the ADL adopt very liberal standards to real anti-Semitic groups if they come from the Left. Greenblatt’s use of a revered body created to combat anti-Semitism to promote his own partisan political agenda and even stooping to use allegations of anti-Semitism to slander his opponents is scandalous. He has no place in a mainstream Jewish organization. American Jewry today stands at a crossroads. 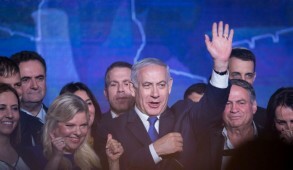 Ironically, at a time when possibly the most pro-Israel U.S. administration in history is about to take office, significant sectors of the Jewish community are falsely accusing its leaders of promoting anti-Semitism. 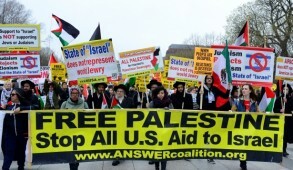 It should be noted that other mainstream Jewish bodies, like the Conference of Presidents of Major American Jewish Organizations, American Israel Public Affairs Committee, and the American Jewish Committee, did not engage in this campaign and merely called for unity. But the Zionist Organization of America was the only significant Jewish organization protesting against this partisan defamatory campaign.